JCI Industries, Inc. distributes pump, motors and environmental treatment products to power, chemical and general industry markets. JCI Industries, Inc. offers complete wastewater treatment solutions from pumps, headworks, biological systems to biosolids processing. JCI Industries, Inc. offers a complete water treatment solutions from pumps, clarifiers, filters, chemical feed, and disinfection equipment. 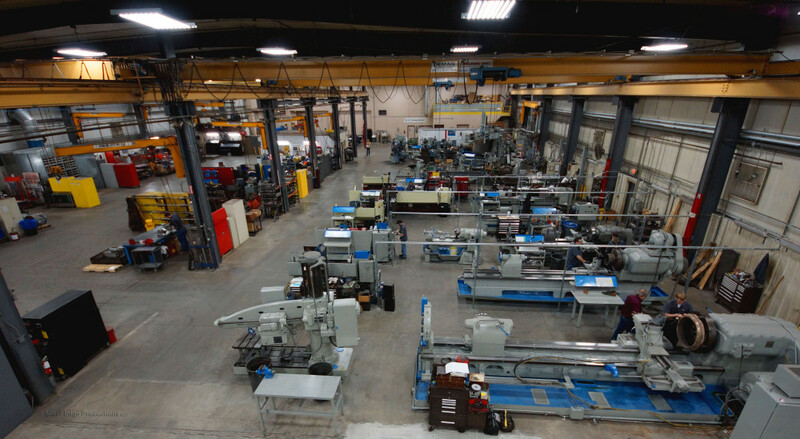 JCI Industries, Inc. provides pump, electric motor, mixer, and gearbox repair along with equipment packaging and fabrication. JCI Industries, Inc. offers new Pumps, Chem Feed, and Mechanical Seals, as well as providing repair, retrofits and fabrication services. JCI Industries, Inc. has motor repair capabilities up to 1500 hp and new motors highlighted by 2,000+ Toshiba motors in stock. 25,000 square-foot shop expansion supports consistently superior service from leading provider of mechanical and electrical equipment.